The treaty was proposed by former fur trader Thomas Fitzpatrick, Upper Platte Indian agent, supported by David D. Mitchell, superintendent of Indian Affairs in St. Louis. The treaty provided that the government would give the tribes $50,000 a year in goods for 50 years for damages caused by emigrants bound for Oregon, California and Utah. In return the Indians would allow free passage on the emigrant trails, permit forts to be built on their land, and pledged peaceful settlement of intertribal disputes. Signing were such chiefs as White Antelope (Cheyenne), Little Owl (Arapaho), Big Robber (Crow) and Conquering Bear, whom the whites persuaded the Sioux to elect as head chief. Assiniboine, Mandan, Gros Ventre and Arikara chiefs also signed. 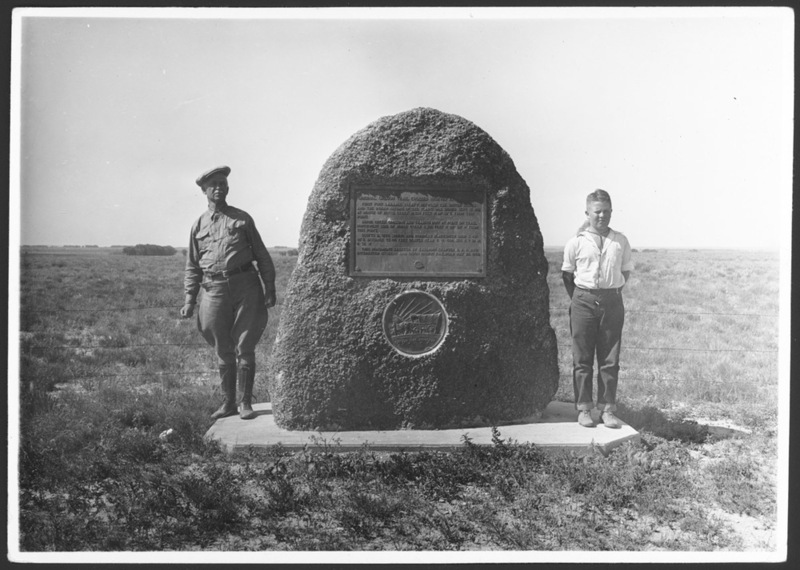 The Shoshone traveled over 400 miles but were not asked to sign because they were not from the Plains. With few exceptions, the tribes honored the treaty until 1864, when the whites' demand for land pressured the Sioux, Cheyenne and Arapaho into warfare, ending the hope for peace which had prompted "The Great Smoke." 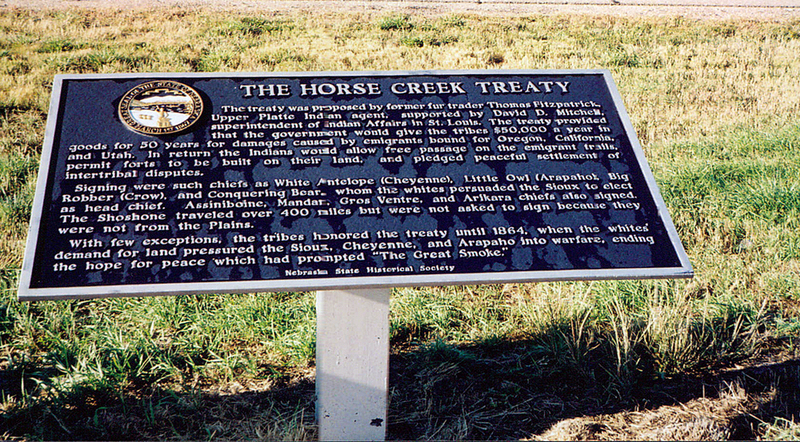 “The Horse Creek Treaty,” Explore Nebraska History, accessed April 19, 2019, https://mynehistory.com/items/show/465.